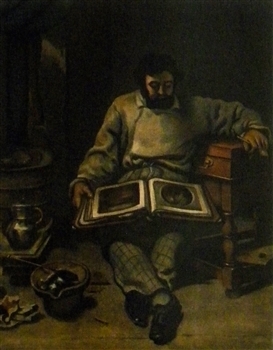 Gustave Courbet lithograph "Marc Trapadoux examinant un livre d'estampes"
Medium: lithograph (after the Gustave Courbet painting). 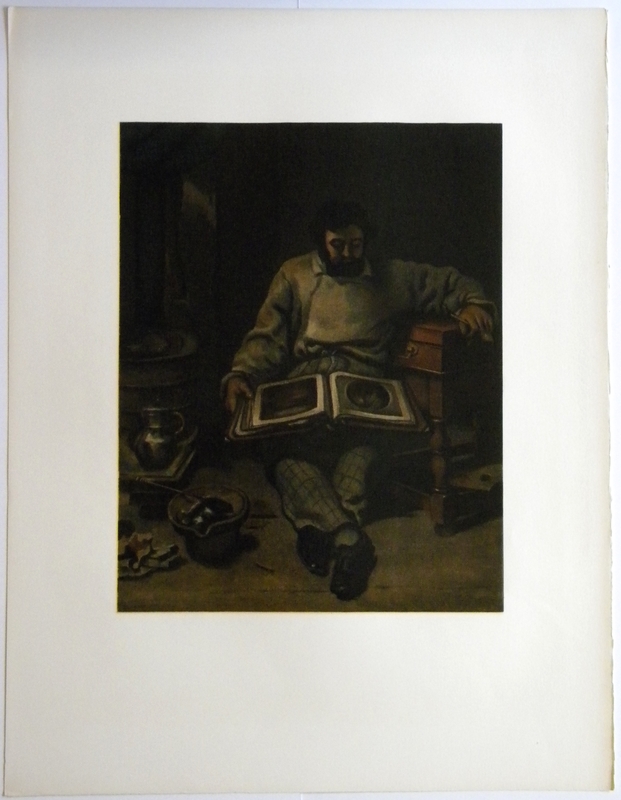 This exquisite lithograph on quality Arches paper was printed in Paris at the Mourlot studio in 1973 in an edition of 1000 for the Collection Pierre Lévy deluxe portfolio. The image measures 16 x 12 1/2 inches (405 x 317 mm) and the full sheet is 26 x 20 inches. Not signed.